Parts cut out for the pod. The LHS was has been closed on Saturday for the last couple of weeks, so I had to buy my balsa at the craft store. They don’t have 1/2-inch thick balsa, so I built up the pod from a piece of 1/4-inch and two pieces of 1/8-inch stock. Pod parts cut and roughly shaped. Since I’m making a built-up pod anyway, I decided to create a ballast box in the nose by drilling out a hole in the 1/2-inch thick center piece. Later I’ll cut an access hatch. In the end it will be similar to the ballast box in the Thermic 30. This is the pod after gluing up the layers. I spread glue between the sheets and then clamped it until the glue set up. Tail boom cut and pinned in place. I cut the tail boom out of 1/4-inch stock. One of the things that I need to work on is making sure that my cuts are right-angle. The cuts that I made are at a slight angle, to there is a fair amount of glue filling one side of the joint between the boom and the pod on the port side. After I’ve attached the wing I’ll need to carefully sand the bottom of the boom when I’m rounding it to make sure that it’s symmetrical. Fortunately, the top is the factory edge, so the wing saddle and stab mount are both square. At this point the all up weight is 19 grams. It should go down considerably once I sand the pod to shape. Fillets applied and a wedge to glue in place to fair the pod into the boom. Once the glue dries it will be ready to sand to shape. I decided to start my first build with the Thermic 20. Actually, I tried to start with a Skua, but the parts for the Skua are so small that I was having trouble with cutting the parts. The 20 has bigger parts to work with, so I think that I'll be better able to get it done. As always with this sort of project, I started by printing out a full-size version of the plan. Fortunately the plans fit on a single sheet of 8.5x11 inch paper, so I didn't need to do anything special to get a set of plans. The plans are quite complete, but they are missing the thickness of the flying surfaces. 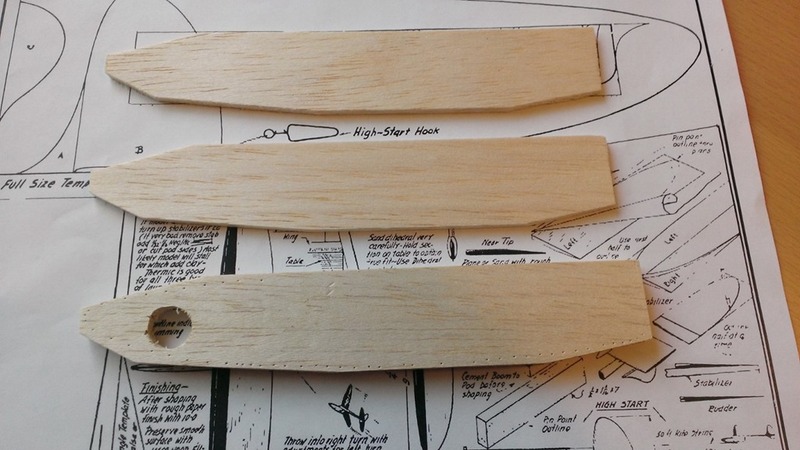 As best I can tell, the wings should be 1/8-inch sheet balsa and the rudder and stabilizer are 1/16-inch balsa. 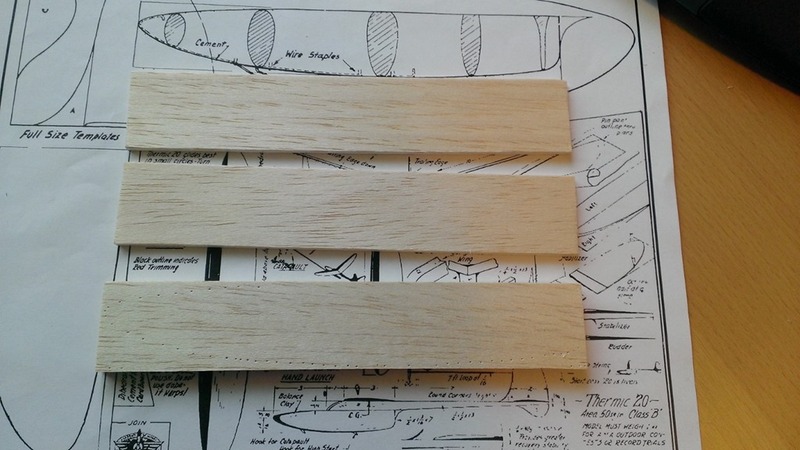 When I went out to purchase the materials for the Thermic I had some trouble finding 1/2-inch thick balsa for the pod. The LHS was unavailable for the last couple of weekends so I was forced to buy balsa sheets from the craft store. I decided to build the pod in three layers, a 1/2-inch layer sandwiched between two 1/8-inch layers. I'll add a ballast box by drilling out a hole in the nose before I glue up the sandwich. Back in the day I was interested in radio controlled model airplanes -- I even owned a Great Planes PT-40 and a nice 6-channel transmitter, receiver and servo set. I got most of the plane done, I just needed to cover the wings to complete it, but I lost interest in the project and eventually gave the whole thing away, including the RC gear, to one of my friends who was flying at the time. But a few weeks ago we bought an indoor remote control helicopter to tease the foster kittens that we had. Flying the little helicopter around the living room got me interested in RC planes again, so I hit the internet and started reading about available trainer planes. That got me searching for plans, and I hit the jackpot on a site called Outerzone. They have plans for over 4,000 vintage airplanes (when I looked today it was 4,703). One of them is the Sterling Diamant sailplane -- a model that I bought and built from Bailey's Toys and Hobbies in Pasco years ago. Like almost 40 years ago when I was 12 or 13 years old. Suddenly I had the bug again. 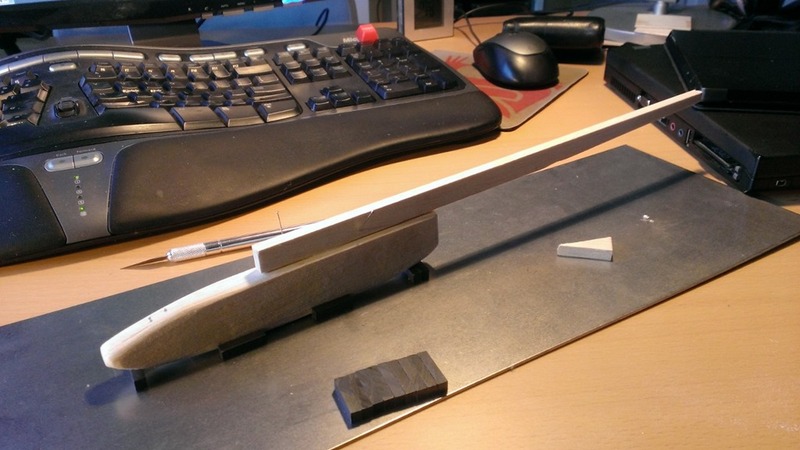 If I have a copy of the full size plans I can build the Diamant again -- but this time I'll reinforce the wing joint so it doesn't fold up on the first flight like my earlier one did. But I haven't built any model anything for a long time. Back then I was building and flying model rockets, so I had some experience with cutting and shaping balsa. I'd built a stick and paper airplane or two, so I knew how to use dope and tissue. But it's been almost 40 years, and I don't have those kinds of skills anymore. And I'm a lot smarter now than I was then, so rather than in with both feet the way I did when I was 12, I decided on a building program to get me from not knowing what I was doing back to a competent builder. The Web got me into this mess, and so once again I turned to the Web to get me out of it. 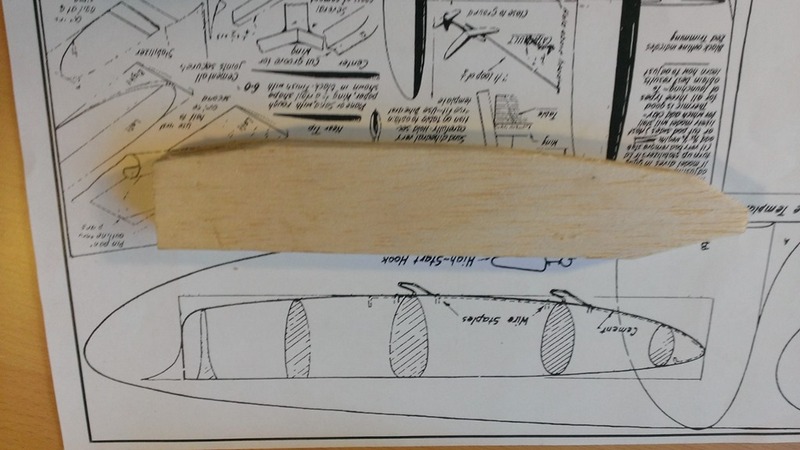 On Outerzone there is a set of plans by Frank Zuic for a series of gliders. They range in size from the solid balsa Thermic 20 to the built up Thermic 100, a 100-inch wingspan free-flight glider. I figure if I build my way up the Thermic series, at least until I get to the built-up versions like the Thermic 50 (or maybe the Goldberg Gentle Lady when I get to that size) I'll have the skills that I need to build a new version of Diamant that will actually fly.